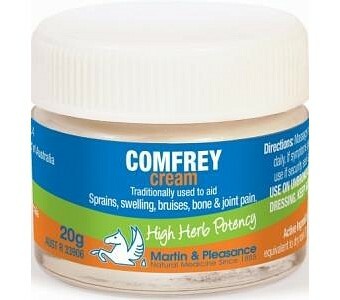 Comfrey Cream can be used for temporary relief of sprains, swelling, bruises, bone and joint pain Comfrey commonly known as Knit bone, gives comfort in fractures, sprains, brusies and joint pain. 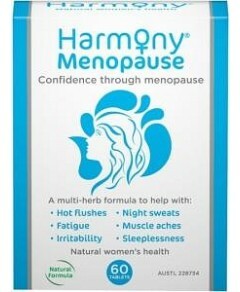 Each 100g contains 10ml of Symphylum officinale tincture (1:5) in an aqueous cream base. Also contains Antimicrobial Agent Chlorocresol 1% W/W. Contains ethanol. Aqueous cream is a light easily absorbed water based cream with no animal products. For external use only. Not to be used on broken skin.Do not use under occlusive dressing Seek professional advice if symptoms persist. AustR 33906.